Overall it was very good. Easy to drop off car at hotel, Lovely room, and 'meet & greet' at Gatwick went smoothly. The only issue was that the hotel failed to give us the wake up call we requested, which meant we missed the shuttle & had to take a taxi. A bit worrying at the time, but we made the flight. 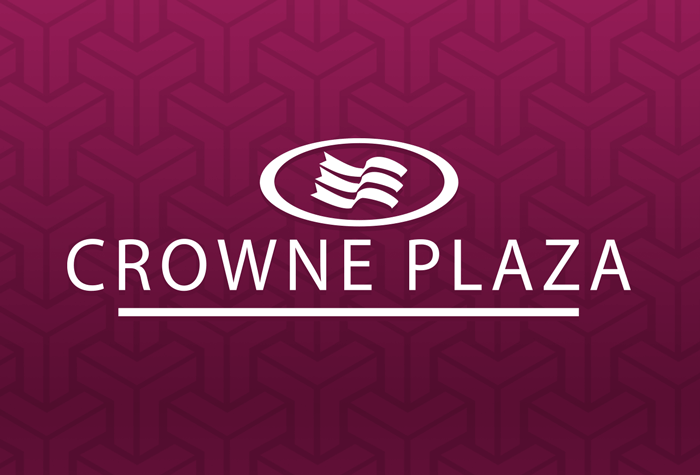 Our customers rated Crowne Plaza on average 9/10 (845 reviews). Read Crowne Plaza reviews. 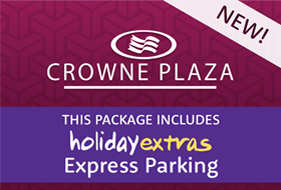 If you're after airport parking as well as a good nights sleep, the Crowne Plaza has teamed up with Purple Parking, formally Airparks, to offer our customers a great deal on a hotel and parking when booked together. 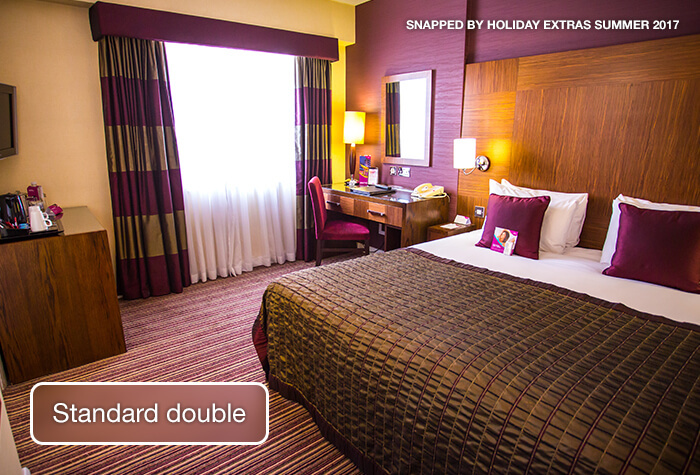 1 weeks parking from as low as £10 with Crowne Plaza and Holiday Extras Express Parking. 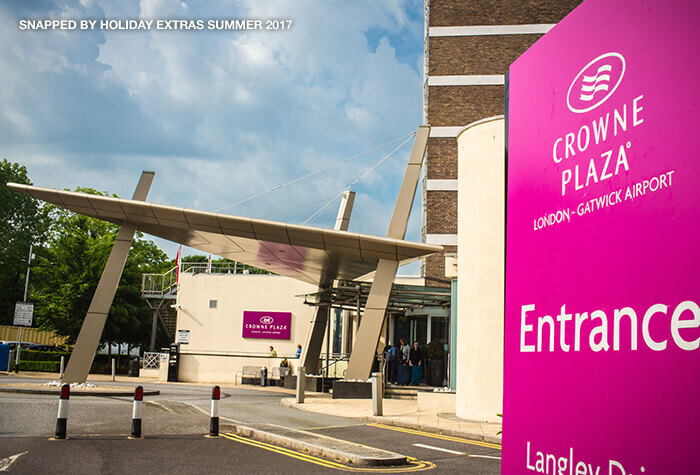 Once at the Crowne Plaza follow signs for the designated Holiday Extras Express parking area. 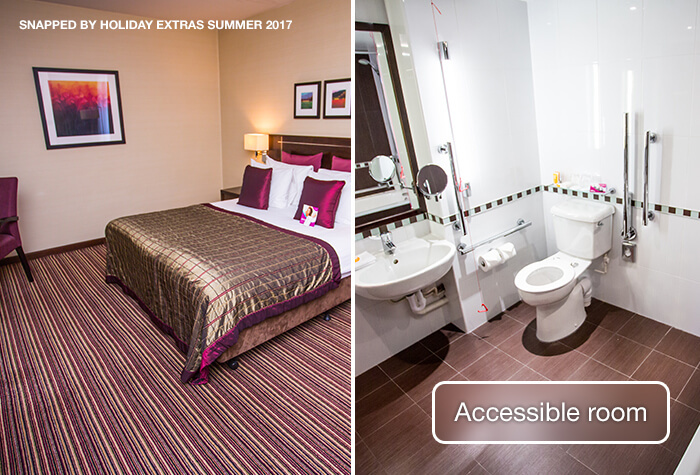 Check-in your car by dropping your keys off in the Holiday Extras locker located in reception. You'll be issued a confirmation receipt - be sure to tuck this in a safe place. It's as easy as that! Your car will be taken to a secured car park off-site and brought back to the hotel on your return. 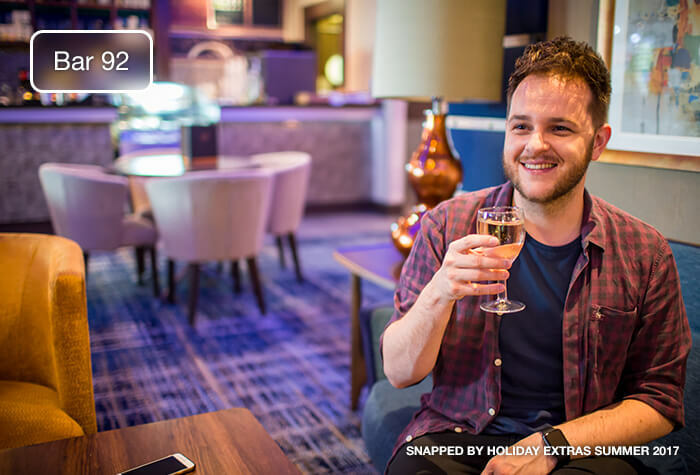 From as little as £10* you can add 1 weeks Holiday Extras Express parking to your room booking - Gatwick parking doesn't get much cheaper than that! Enjoy a relaxing night's sleep knowing your car is all taken care of and you're just a short transfer away from Departures. 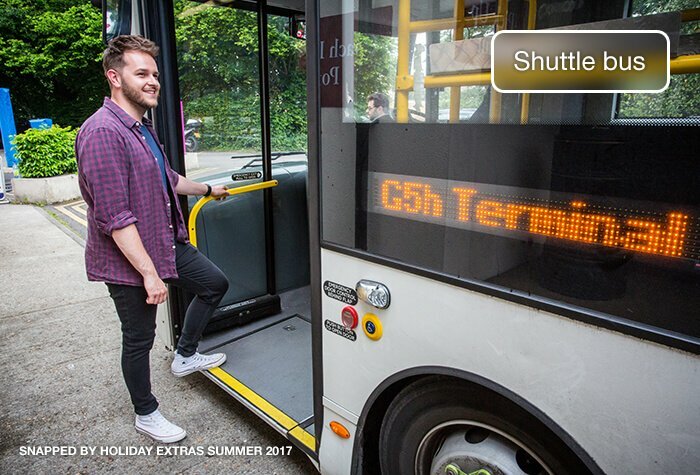 Catch the hotel's shuttle bus to and from the airport - it's 10 minutes to the South Terminal and 15 minutes to the North Terminal. * Price quoted here is correct at the time of writing but is subject to change. Please search for availability and prices for the dates you require. The hotel runs a shuttle bus runs to the airport from 4.30am to 12 midnight for £4 per person each way. Alternatively, you can get a taxi for around £12 per car - just ask at reception. Overnight parking is available and costs £12 per car. This package doesnt include parking while youre away. If you need to park your car for the duration of your trip, search for an airport hotel with parking package instead. The Crowne Plaza is around 10-minutes from the South Terminal and 15-minutes from the North Terminal. Full driving instructions and a postcode for satnavs will be on your confirmation email if you need them. If youre travelling by train, Gatwick station is on the lowest level of the South Terminal. A taxi to the hotel will take about 10 minutes and cost around £12. There is free wifi throughout the hotel. 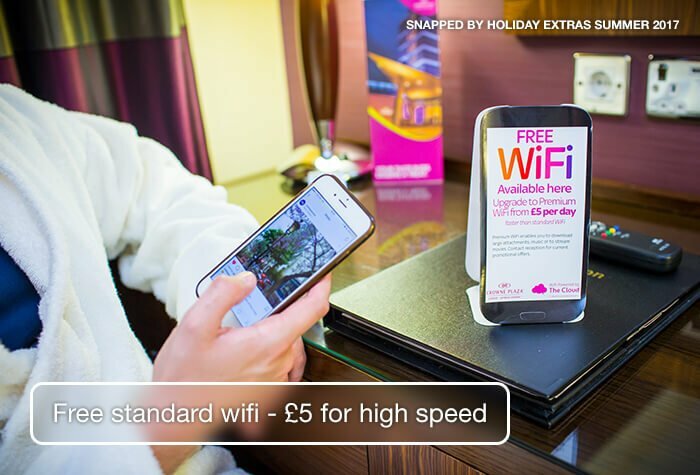 It was fairly slow when we visited in 2016, so wed recommend paying £5 to upgrade to high-speed. The hotel also has visual and audible smoke alarms and vibrating pillows for any guests with hearing or vision impairments. Service dogs are also welcome. 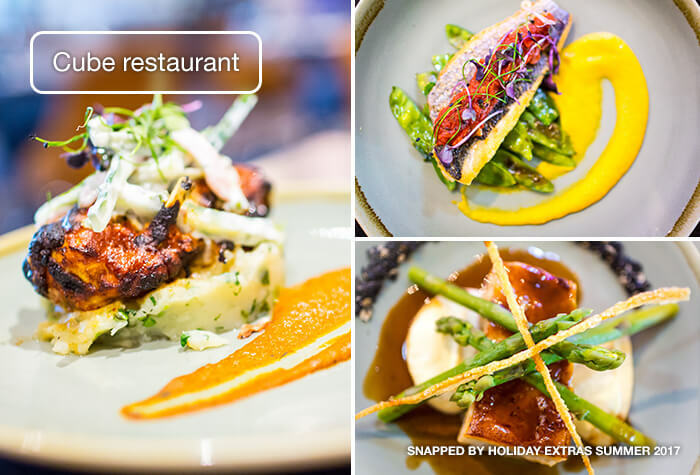 The award-winning Cube restaurant serves a mix of locally-sourced, British and international dishes. Main meals average around £16.95pp. Kids menu available, 2-courses for £8.95. Open from 6pm to 10pm. The Cube Bar and Lounge serves a range of lighter dishes along with hot and soft drinks in an informal setting. Open from 6am to 1am. Bar 92 is an airy space with an outdoor terrace where you can get hot and soft drinks, beers, wine, spirits and snacks. 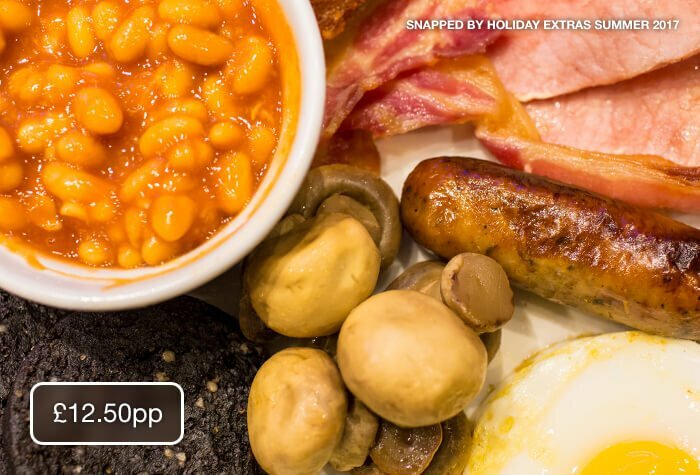 Its an English and continental buffet and you can save nearly £4.50 per person when you book it through us. Served from 6am to 10.30am during the week and until 11am at weekends. 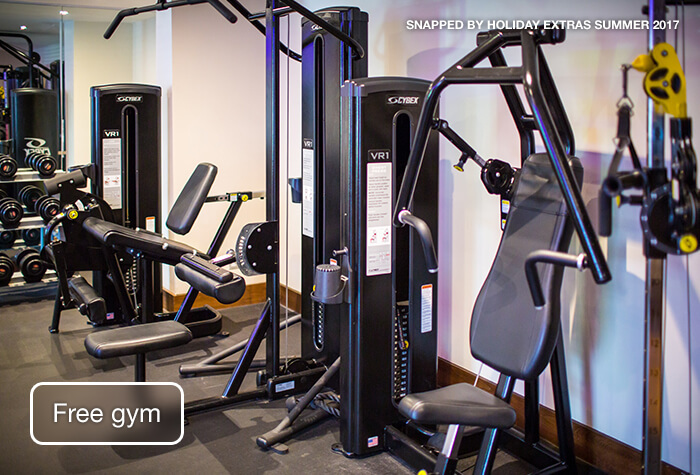 There is a fully-equipped gym on site. It's open from 6.30am to 9.30pm and is free to use.